Paul Steffes is recognized for his innovative philosophies and creative solutions in the manufacturing and engineering industries. Paul earned his bachelor’s degree in Mechanical Engineering from North Dakota State University. 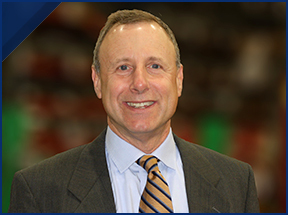 His dedication to a strong company culture, quality work and entrepreneurial spirit has propelled him to lead Steffes to be one of the largest and diverse manufacturing companies in the region. As COO, Paul Eidenschink is responsible for setting Steffes’ strategic direction and daily operations. His experience in business strategy, development and manufacturing operations is leading Steffes into the next generation. Paul has more than 25 years of experience in the manufacturing industry, and continued this journey by joining Steffes in 2012. Paul earned a bachelor’s degree in Industrial Engineering from North Dakota State University. Todd Mayer has more than 24 years of engineering experience with an emphasis in new product development and managing engineering talent. As the CPO and Director of Oil & Gas Products, Todd leads a team creating solutions for the oil and gas industry. Todd joined Steffes in 1998 after earning his bachelor’s degree in Mechanical Engineering from Iowa State University and his master’s degree in Engineering Management from Rensselaer Polytechnic Institute. Peter Rackov is responsible for all financial and administrative matters, support services and the financial performance of Steffes. He joined Steffes in 2012 with an extensive experience in financial management. 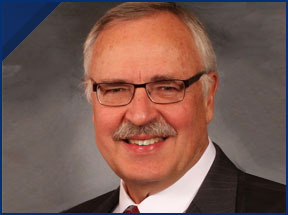 Peter holds a bachelor’s degree in Accounting from John Carroll University and is a Certified Public Accountant (CPA). James Geesey is responsible for Steffes’ Supply Chain strategy development and execution. 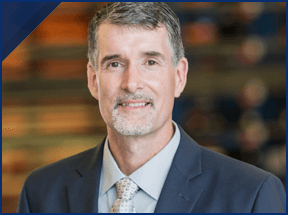 He has over 25 years of experience in supply chain, operations, and finance leadership roles—including 20 years with Emerson Electric. James holds a Bachelor of Science degree in Industrial and Systems Engineering from Ohio State University. He also holds a Masters of Business Administration with a concentration in finance from The Fisher School of Business, Ohio State University. 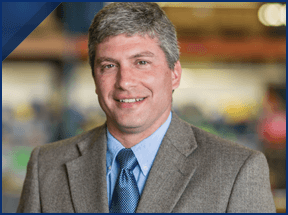 Stephen Dusold is responsible for manufacturing operations to ensure ongoing production meets the needs of the customer both today and in the future. 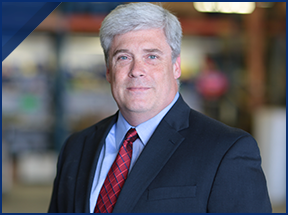 Stephen joined Steffes in 2017 with extensive operations and commercial leadership experience in the automotive, industrial, and marine industries. He holds a bachelor’s degree in Business from Arizona State University.